We all know that Arci Muñoz loves Halloween. We've seen her as Sailor Moon, Harley Quinn, and a Zombie Snow White. She even dresses up in costume when it's NOT Halloween. 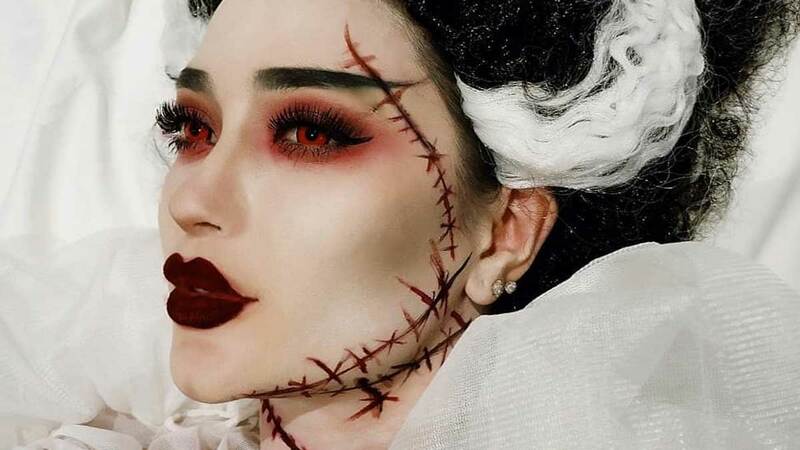 This year, although a few days late, we finally saw Arci's latest look: Frankenstein's Bride! She did the makeup herself, BTW. We're seriously loving that ~wedding gown~. And that wig. And those bandages. And those realistic-looking stitches! That's not all, though. Arci actually got Piolo Pascual to be her Frankenstein, with matching stitches and those *knobs*! Also, say hello to Iñigo Pascual as Miguel from Coco. We last saw Arci on the big screen in the 2017 film Can We Still Be Friends where she starred alongside Gerald Anderson. One of her newest projects is with JC Santos, a movie titled Open, and it will be directed by Andoy Ranay. She's also set to star in a new rom-com with JM de Guzman.